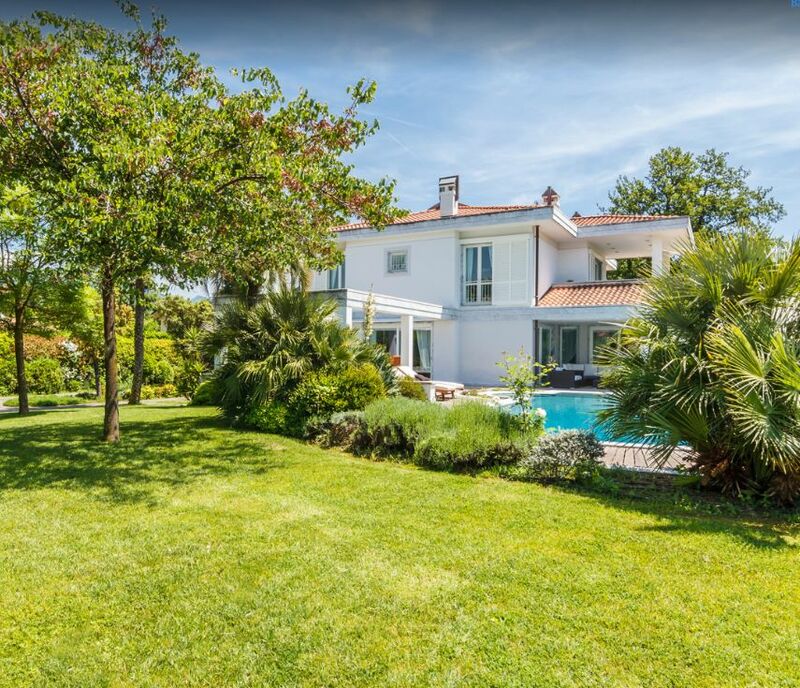 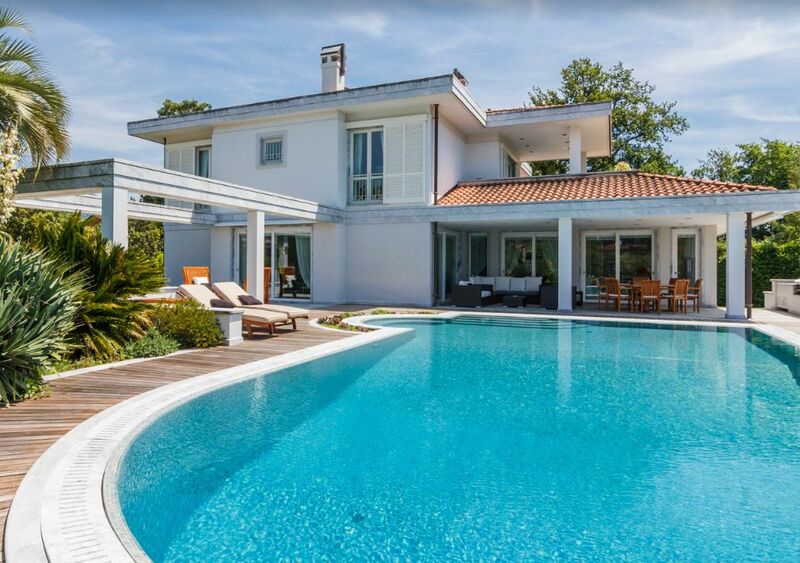 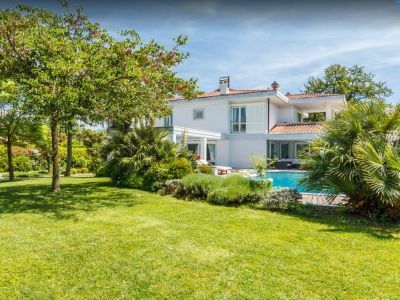 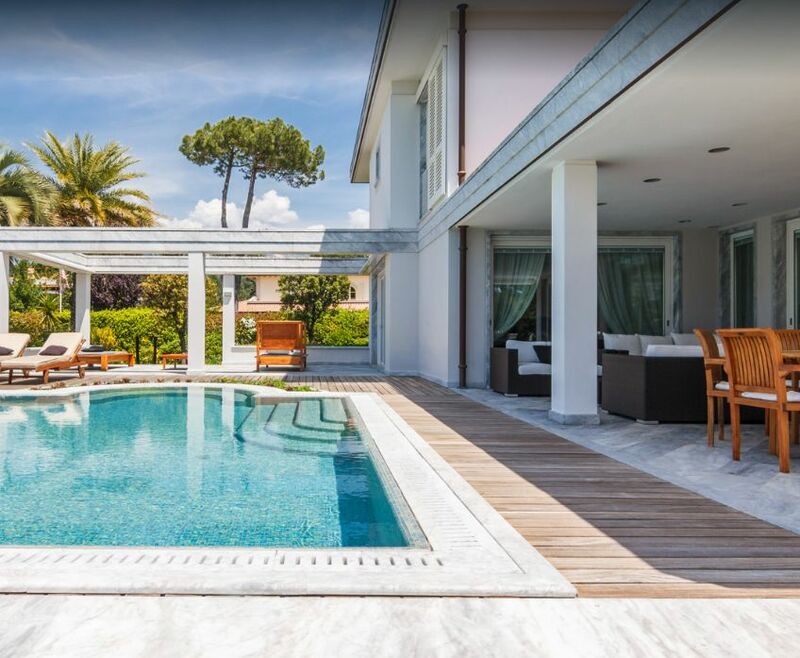 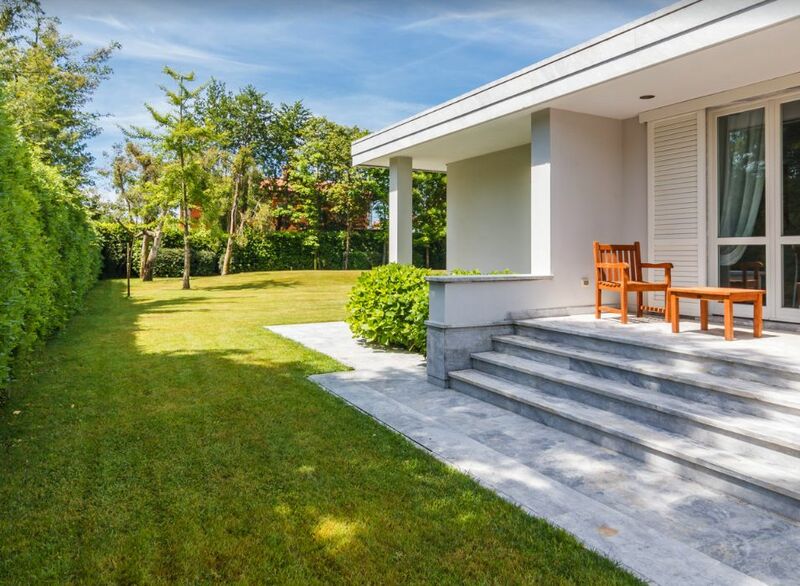 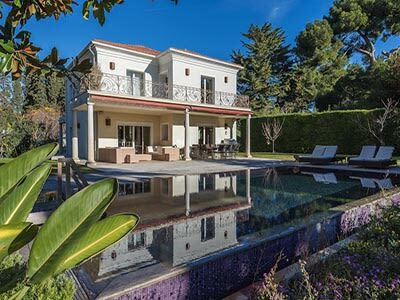 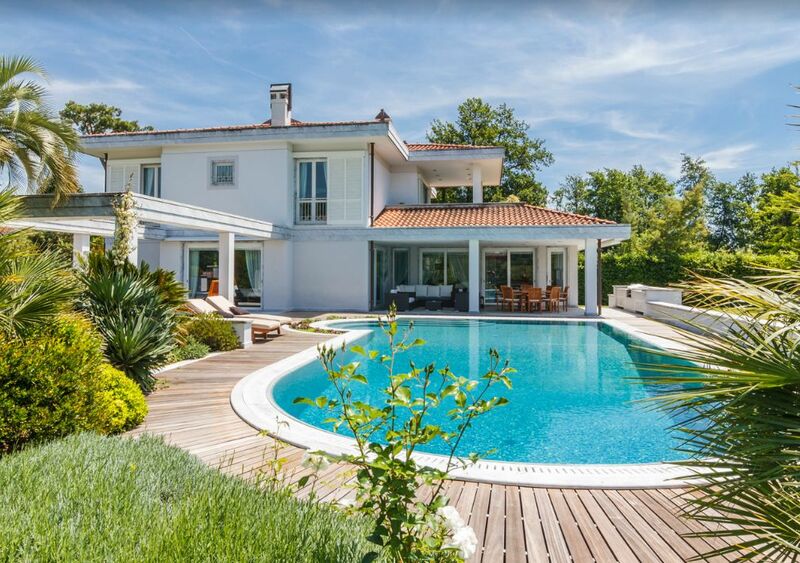 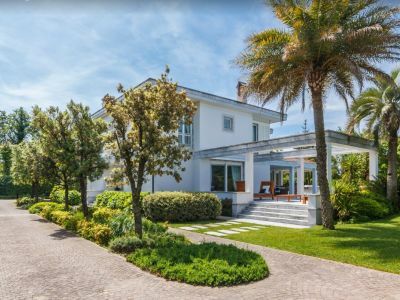 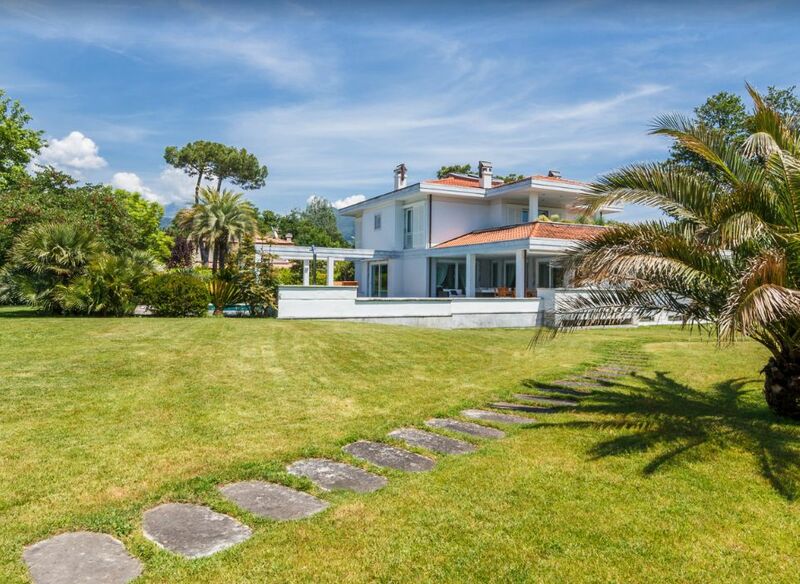 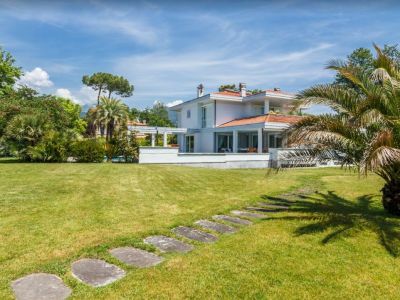 This recently built luxury villa in Versilia stands in a beautiful lush garden of 3,800m2 with swimming pool, parking area, palms, hedges and bushes in full bloom. 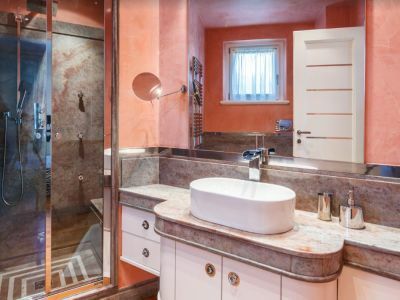 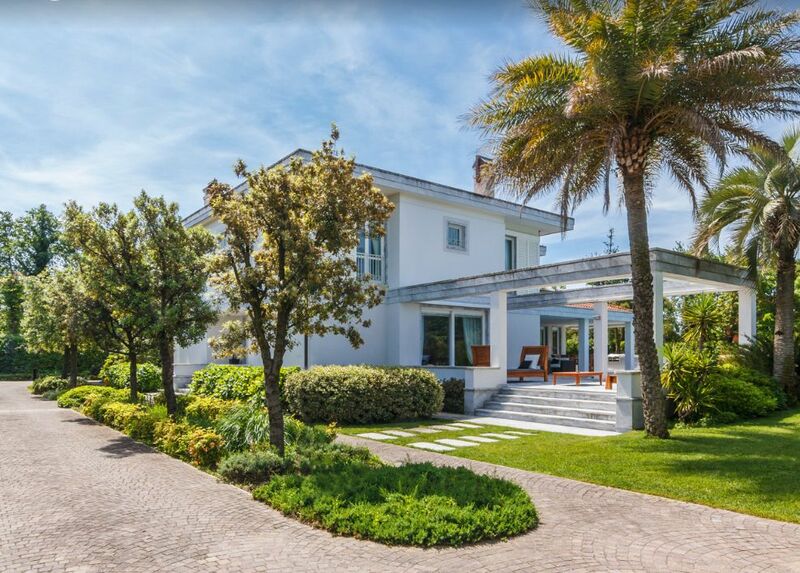 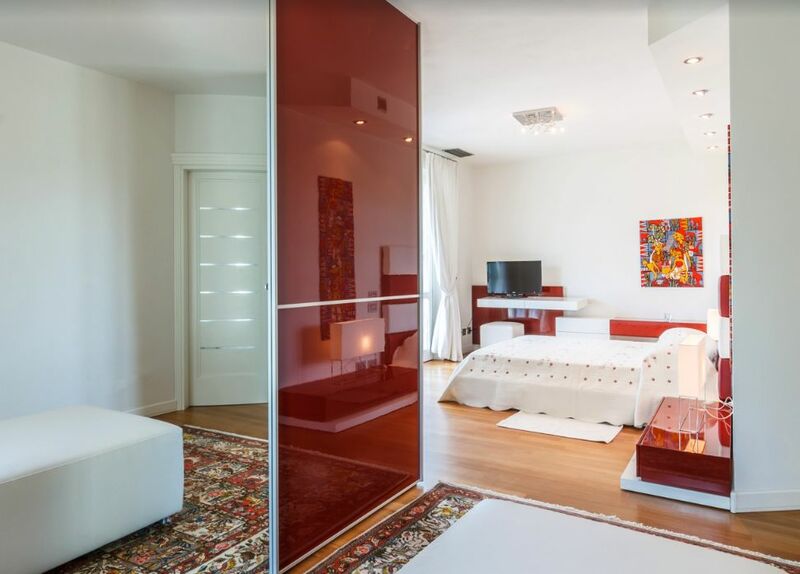 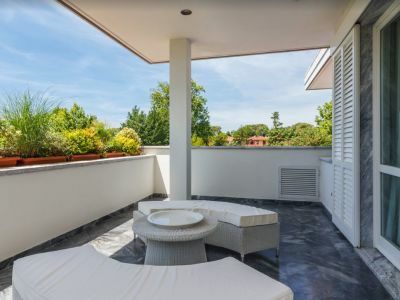 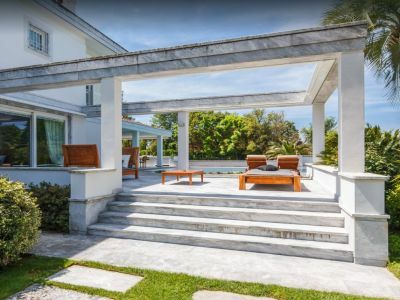 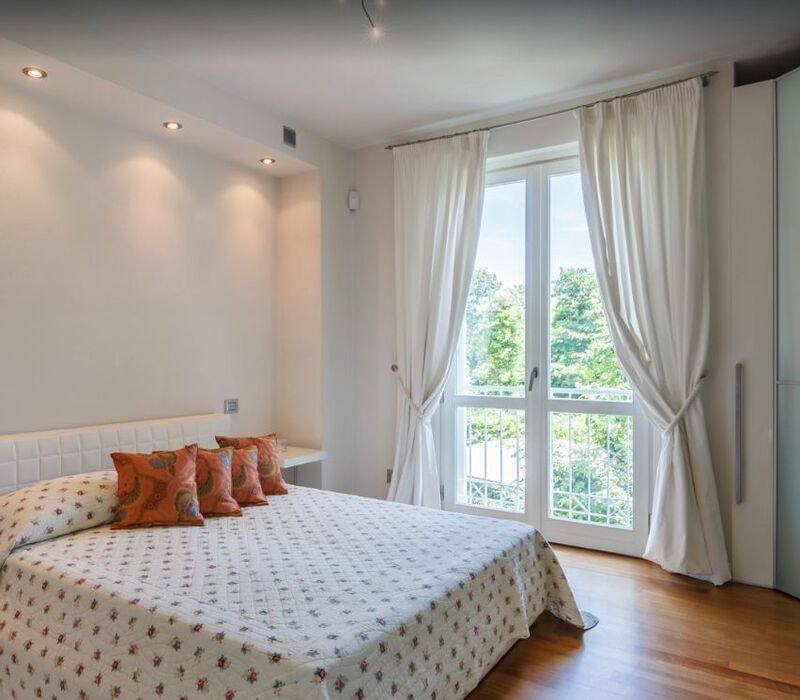 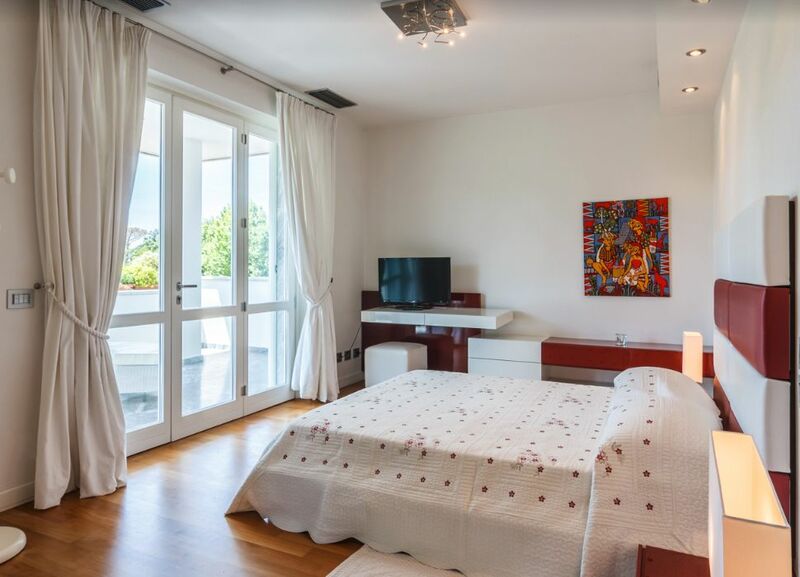 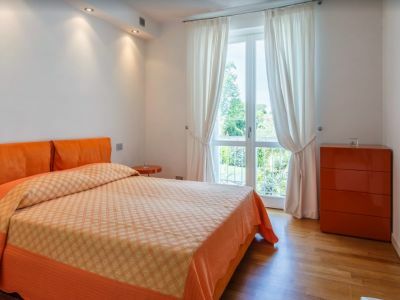 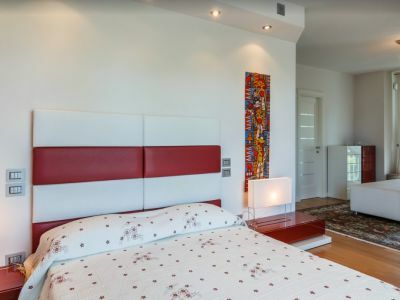 In a completely private setting at the heart of an exclusive and elegant area of Forte dei Marmi. 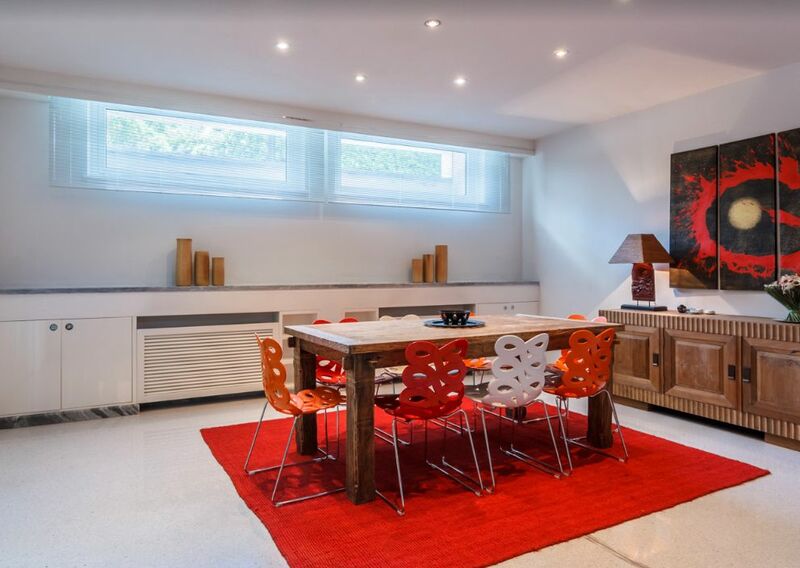 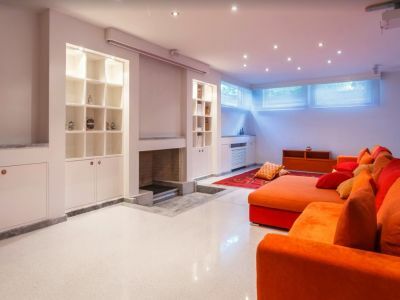 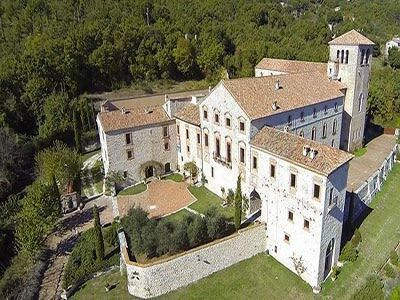 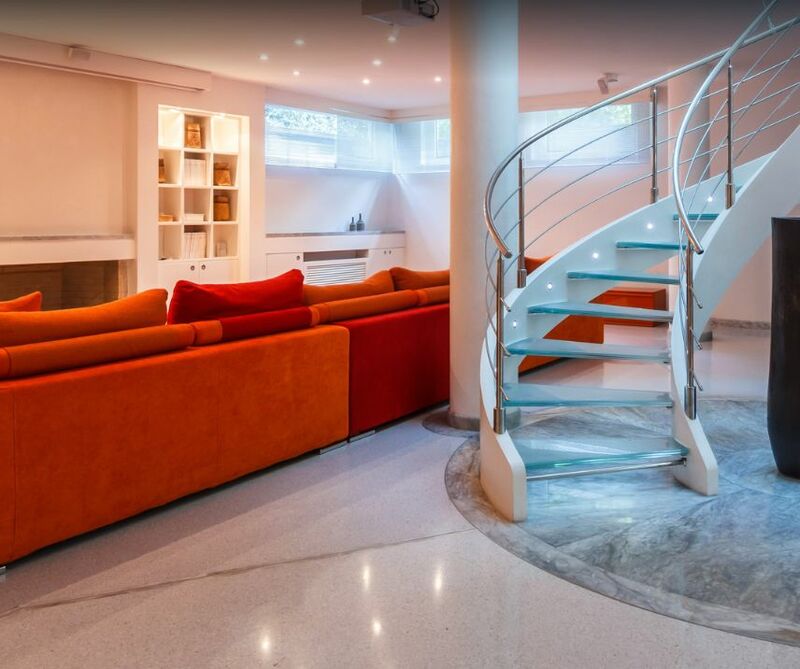 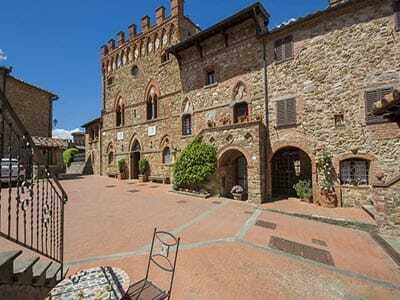 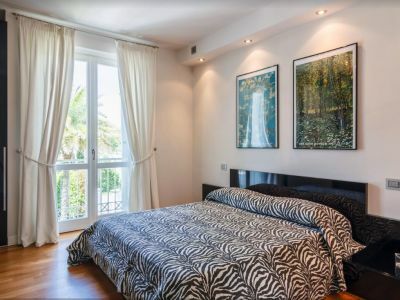 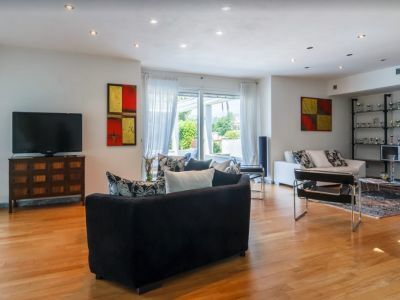 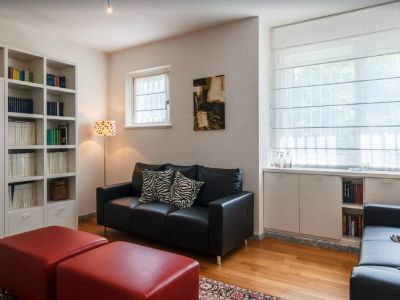 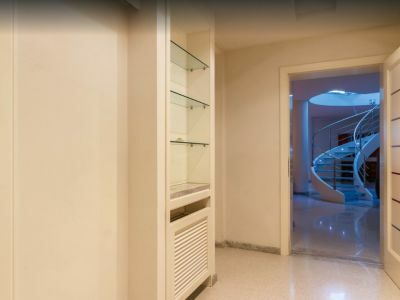 The property has 560m2 of living space distributed across two floors and a lower-ground floor. 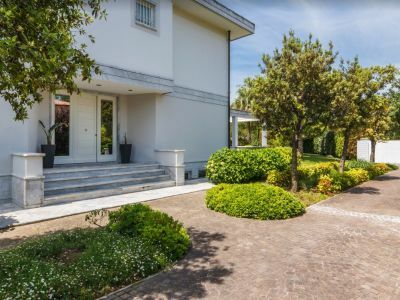 The ground floor is home to a spacious hall with an elegant fireplace, a dining area, a convenient, fully equipped kitchen, and a comfortable restroom. 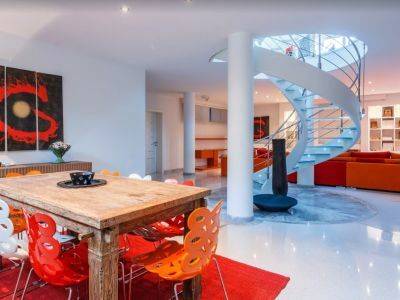 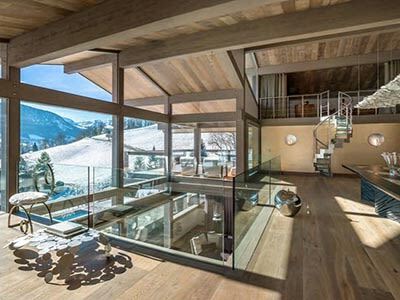 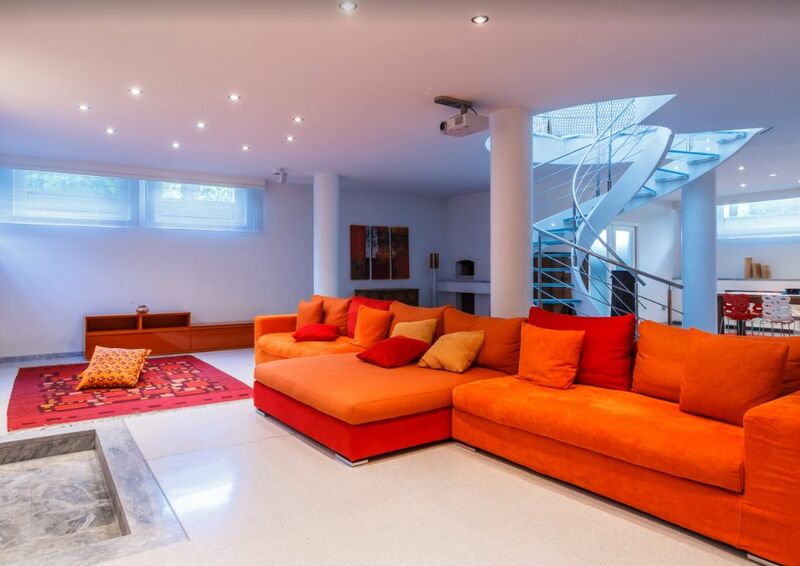 A spectacular spiral staircase leads to the first floor, where there is the sleeping area, composed of five elegant bedrooms and five bathrooms. On the lower-ground floor, which can be accessed through the same spiral staircase, there is a spa equipped with all conveniences. 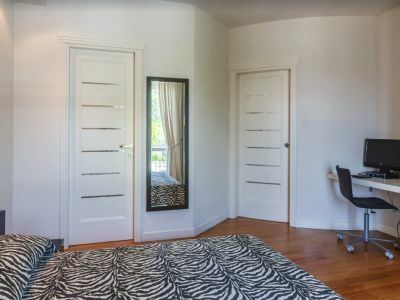 There is also a spare bedroom. 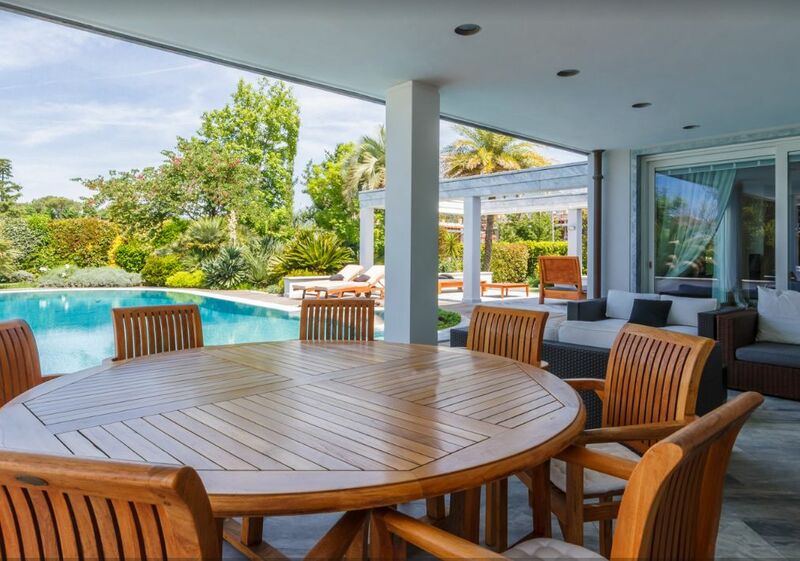 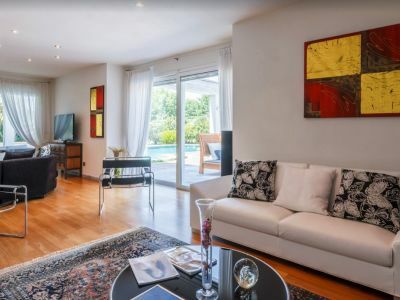 Next to the swimming pool, there is a beautiful, well-kept and furnished patio which may be used as an outdoor living area, relaxation area or as a dining area to eat outside.